Park City, UT – RAMP Sports has been named an ISPO BRANDNEW Finalist for the manufacturer’s sustainably made skis and snowboards. Selected from a group of over 250 designers, brands and cutting edge startups, winners and finalists were selected in each of eight categories with RAMP selected as a finalist for the ultra-competitive “Hardware Winter” category for 2014. Since 2012, RAMP Sports has been sustainably manufacturing skis and snowboards in the U.S., using technology never before seen in the ski industry, and have built a loyal following throughout the U.S. and Canada. 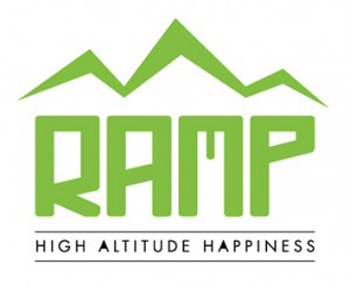 The ISPO BRANDNEW award comes as RAMP is bringing its direct-to-consumer model for ski and snowboard sales to Europe, and will serve as RAMP’s launch for the continent. RAMP will exhibit at the 2014 ISPO show in Munich in the BRANDNEW village and will use the opportunity as the European debut of the brand. Based in Park City, UT, RAMP Sports is a ski and snowboard manufacturer‑and SUP dealer‑bringing expertly handcrafted gear to customers at factory direct prices. RAMP is 100% Utah based company from design and development to production, in its state of the art facility in Park City. RAMP is skier and rider owned making top-quality skis and boards using groundbreaking manufacturing techniques. Please visit http://www.rampsports.com/ for more information.